During the Vicksburg Campaign, General Alvin P. Hovey was commander of the 12th Division, XIII Corps, Army of the Tennessee. On May 16, 1863, his division bore the burnt of the Battle of Champion Hill. In 1885, when Hovey gave this interview with the Indianapolis Journal, he was 64 years old and a practicing lawyer in Mount Vernon, Indiana. The following year, he was elected to Congress and served from 1887 until 1889. In January of 1889, he reached the peak of his political career when he was elected to serve as the 21st governor of Indiana. 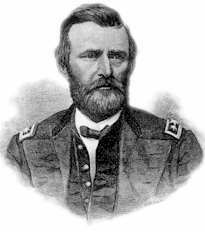 During the Battle of Champion Hill, Maj. Gen. U. S. Grant was in command of the Army of the Tennessee while Hovey served as commander of the Twelfth Division, Thirteenth Army Corps. Hovey’s Division bore the brunt of the battle. “By the way,” Hovey said, “I think I can tell you something about Grant on another occasion. The battle of Champion Hills was one of the bloodiest of the war. The division I commanded belonged to McClernand’s corps. By a delay caused by my division being ordered to make a feint on the enemy’s lines near Baker’s Creek, while the main army passed round the west flank of the enemy toward Bolton Station, my division became detached from the main corps to which it belonged. We first came in sight of the enemy near what is now called Champion Hills. At that time, my division was on the extreme right – the main body of McClernand’s corps being something two or three miles to the left. “Slack’s brigade bore off to the left, and McGinnis’s to the right. McGinnis struck the battery full, but Slack diverged a little to the left. It was a close hand-to-hand fight between McGinnis’ boys and the rebels over the battery and the guns were ours. Both brigades then advanced to a second battery, perhaps a quarter of a mile in the rear of the one we had captured, and after a fierce fight took that also. But the enemy, reinforced, returned in great numbers and drove us back to the location of the first battery. "We made a second charge and the second battery was again taken. Again with overwhelming force the enemy pressed my force back down from the brow of the hill beyond the first battery. This was a critical moment. My men were fighting stubbornly, but against almost overpowering odds. If the centre had been broken our army would have been divided into two parts. There were 28 [16 according to the Official Records] pieces of artillery under my command and again being reinforced I placed those 28 pieces on a mound in a graveyard, and with shot, shell, and canister poured an enfilading fire into the advancing hosts. The place was well timbered and thick with underbrush, but it was mowed almost as with a scythe. They couldn’t stand that fire and swung back. Logan came in on the right and took several thousand prisoners. The enemy gave way and Loring’s force broke off from the rebel line and rushed back to Jackson. This was as I said before, the bloodiest fight of the whole campaign. Five months following Hovey’s meeting with the Indianapolis Journal reporter, the banner news of Grant’s death spread across the nation. With his beloved wife Julia at his side, he succumbed to throat cancer on July 23, 1885, only days after finishing his book, Personal Memoirs of U. S. Grant. 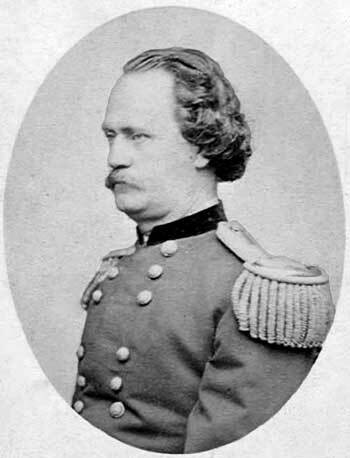 Four years later Alvin P. Hovey, Grant’s comrade in war and friend in life, was elected governor of Indiana but died in office on November 23, 1891. "There were 28 pieces of artillery under my command and again being reinforced I placed those 28 pieces on a mound in a graveyard, and with shot, shell, and canister poured an enfilading fire into the advancing hosts." The Indianapolis Journal, March 8, 1885. Hinds County land records: Book 4, Page 27, 1846, R. A. Abney to Zack Wardlaw, describes a quarter-acre family graveyard in the SE1/4 of Section 20, T6N, R3W, at Midway Station (Champion Hill). The Champion’s purchased the property in 1853. The number of cannons given in the newspaper article does not correspond to the number given by Hovey in the Official Records. 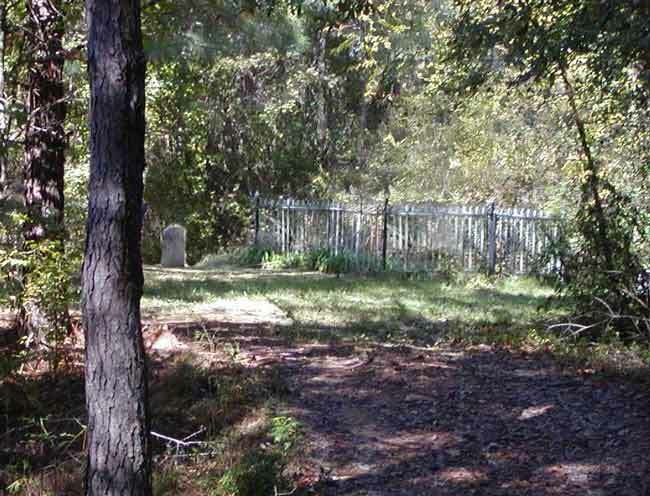 The mound and graveyard mentioned by Hovey can still be seen at Champion Hill today, but is located on private property and not accessible to the public except for battlefield events at Matilda Champion’s House. The old graveyard is about 200 yards north of the Champion Hill road on the sunken road leading to Matilda's 1866 House and Midway Station. Further study will investigate: a) the number of cannons and b) the placement of the cannons as described by Hovey using the mound in the cemetery as a focal point. The study will involve available roads of the time and ridges where cannons could have been placed. Copyright (c) James and Rebecca Drake, 1998 - 2009. All Rights Reserved.